On my Etsy Shop - Lovely Layers Art - there are several stamp sets available for purchase as I'm moving out some older stamp sets. Some like Merry Mice aren't that old. All still have plenty of life left in them for pretty cards this holiday season. There are also sets that are not holiday oriented including Trendy Trees which I discovered the wheel for after I did the video. 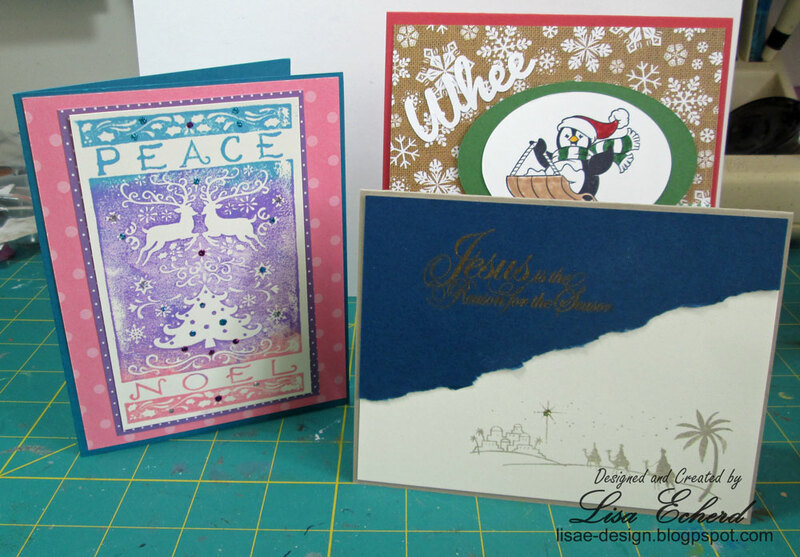 Here's a video sharing the cards I've made so far and the stamp sets for sale. Thanks for watching and shopping! Really cute cards Lisa! I love that you use your stamps and then move them on - I need to do that more! I'm so bad at keeping way too much craft stuff!